Hello, My Name is Joey! Say "hello" to Joey, your new best friend. 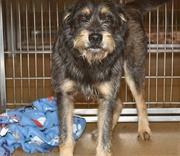 Charming as he is handsome, this scruffy sweetheart has two great passions in life: playtime and snuggling. 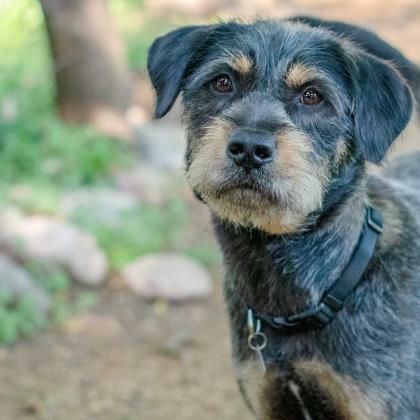 Daily walks around the neighborhood, spirited games of fetch in the backyard, or trips to the dog park to make new friends are Joey's idea of a good time, and he's happy to conclude any fun-filled day cuddled up on the couch with his new favorite humans. If Joey is the one for you, hurry over to meet him today; he simply can't wait to meet you.